VerseCrafter: Eternal Envy is the third map in a series of adventure and puzzle maps where you as a player will go on a journey through your own memories and try to unlock the forgotten. By completing the previous two maps you’ve successfully passed two memory gates but you’re not done yet. The next challenge requires you to conquer the emotion of “Greed”. As a whole, it’s a fun and experimental adventure with an intriguing storyline. Ren Harrow is a man whom has lost all of his memories, and must now pass seven gates each one being an emotional aspect, to reach the Hall of Memories to find himself again.. So far he has passed two gates so far and now he must conquer the emotion of “Greed” to exceed yet another trial to reach the next gate of his memories. With just five gates left things are getting darker by the minute.. Note from Cheete: Please be aware that this map took 6 months to make, and there is only one path as of now. I spent ages working and developing the characters, as well as a lot of road bumps with Mojang updating the game. Important: This works best on the 1.2 beta which is currently limited to Windows 10 and Android users only. Find out how to join the beta by clicking here. It does load on 1.1 too but it might not work as good. Cursed (previously Mary) is the sequel to See You which was a map created and released not long after command blocks were officially added to Minecraft. In this sequel you’ll find yourself in your own house investigating different mysteries. It’ll start out quite ordinary but by the end of it you’ll likely be a bit more frightened than when you started out. Keep in mind that it does include multiple jump scares. You’ll spawn in a lobby where you will have a few different options. It’s recommended to read the rules first as there you’ll get some recommendations on your game settings. Press the Play button whenever you are ready. 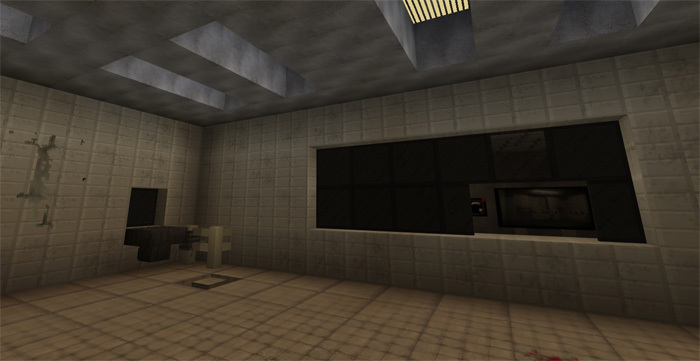 This map will simulate your worst nightmare in Minecraft and I can guarantee you it’s going to be scary. It is a really well made map which includes great sound effects, jump scares and just an overall creepy experience. If you are looking to get scared then look no more. This is honestly one of the scariest horror experiences currently available, so be careful what you wish for! You’ve partied all night but decided to go home somewhere around midnight. Soon you find yourself awake inside an abandoned house which is haunted. You are most likely dreaming and your objective is to find a way out of your nightmare! 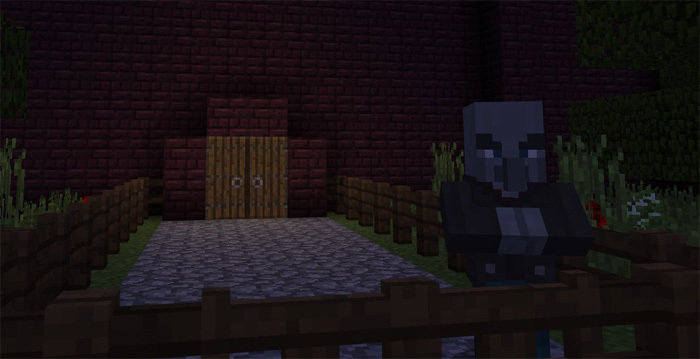 Fatal Fortress: The End is an RPG adventure map in which you’ll play as a character who come across an old mansion in the deep and dark forests of Minecraft. You decide to explore it but that decision is most likely something you’re soon to regret. Inside the mansion you will find deadly traps, puzzles and other difficult obstacles. The Abandon is a scary horror map taking place somewhere out in the woods. You’re driving your car back home when suddenly a man steps out on the road. It’s pitch black outside and the rain is pouring down. Soon you find yourself inside an abandoned mansion which you then have to escape. If you’re looking for a creepy adventure, then this is definitely it. You’re driving back home after being on a vacation with some friends. All out of nowhere a man steps out onto the road. You quickly hit the brakes and stop the car by the side of the road. When you exit the car you can see the man disappearing into the woods. You can decide to follow him and soon you come to an abandoned mansion. The man enters the mansion, leaving the door opened behind him. You decide to enter it as well but as soon as you’re inside the door is closed behind you and locked. You must find a way out!